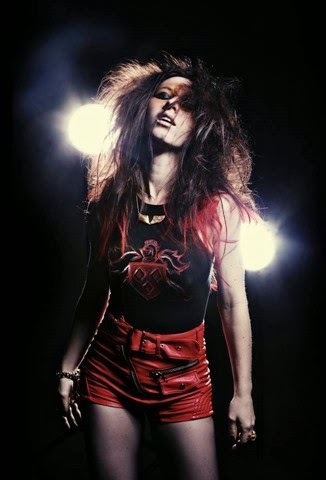 Helping Hands Rock Reviews: Kat Robichaud Reflects on Her Season on The Voice, Amanda Palmer's Generosity, and Her Kickstarter That Fans Are Eating Up! Kat Robichaud Reflects on Her Season on The Voice, Amanda Palmer's Generosity, and Her Kickstarter That Fans Are Eating Up! Prime time network television is the last place you'd expect mainstream America to stumble upon the next big theatrical hard rock female vocalist. But that is exactly the scenario that played out when North Carolina's Kat Robichaud commanded the sound stage on Season 5 of NBC's The Voice. If you can imagine what P!nk would sound like if she grew up in the suburbs listening to Marilyn Manson and Queen, you'd be hearing Robichaud in your head. She defied the odds - and more than a few Internet haters - to impressively place in the top 10 for the season. But unlike past seasons' contenders, she isn't content with a decent reality TV run being the pinnacle of her music career. We recently caught back up with Robichaud to recap her time on The Voice and to get the scoop on her new Kickstarter campaign that will fund the album for which her newfound legion of fans has been clamoring since she first rocked the striped pants in the Blind Auditions. 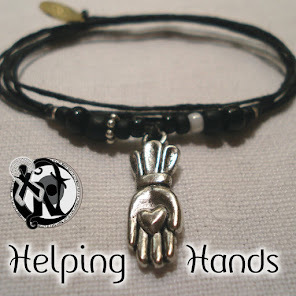 Helping Hands Rock Reviews: When we last caught up with you, you had just advanced to the Live Shows on The Voice. You went on to deliver arguably the most memorable performances of the season and made it to the top 10. What were the emotions like as you advanced week after week and then when your time on the show ultimately came to an end? Kat Robichaud: A lot of crying [laughs]! Happy tears and sad, both. The Instant Save was incredible. When they announced when they were going do it, I was like "Oh no! Oh no! That doesn't sound like fun at all! Oh no! Like, don't give people five minutes." In my life, I just haven't experienced a lot of winning. In those five minutes, I remember I turned to my mom and my husband in the audience and I said "I'm going home." I thought, you know, Jonny [Gray] was more popular than I was with the ladies. The ladies hated me [laughs]. They did not like my legs hanging out of those shorts! The five minutes were up and they said my name and I couldn't believe it, I really couldn't! Then, the next week, I knew that there was no way in hell that I was going to be staying when Caroline [Pennell] was in the bottom three because, you know, that's her demographic. So many young people watch the show. And also, she's incredibly talented and sweet and very lovable - I love her - she deserved to be on the show. When it came time to pick [Pat Benetar's "We Belong"], I said, "You know what? If this is going to be my last song, I'm going out swinging. And I'm going out with a bunch of male dancers and a gold piano. I am doing this the way that I want to do it." And I did. I did. When you do something like that and really put your heart and soul into it and it doesn't work out, you just don't have any regrets. HHRR: Through the show, you were able to personally connect with an idol of yours, Amanda Palmer, who seems to have graciously and unselfishly taken you under her wing. How has that relationship blossomed and why do you think that, out of all Amanda's fans, she took a special interest in you? KR: [Pause]. I don't know. [Pause]. I don't know, for some reason, that's making me teary-eyed. I never thought about that. her fans. That's just who she is. [In interviews about The Voice] people kept asking me who your influences are and I kept saying "Queen and David Bowie and Amanda Palmer" over and over and over again. Fans on Twitter reached out to her and said "Do you know that this girl is a huge fan of yours?" I think it was the volume of people who reached out to her. It's been amazing. She's been incredibly generous. Both she and [husband and author] Neil Gaiman have been incredibly generous. to have stayed on the show because being on the show was like nothing else. But, if I was going to get eliminated, it was kind of serendipity when I did get eliminated because the show flew me to New York to be on the Today Show and it just so happened that Amanda and Neil were performing in New York at the same time. When I told her that, she invited me to come and perform. I just couldn't believe it! I was just so excited! is in her lyrics and how heartbreaking her songs are and how they touch you so much. I was back in L.A. for the finale and then she just happened to be in L.A. so I got to see her again. We got to perform two nights in a row together. I don't know why me. I think she's helping everybody that she can. I don't know. I'm just really thankful! I feel very, very, very lucky. HHRR: Your big news this week is the launch of your Kickstarter to fund your first solo album. Tell us all the juicy details behind that! KR: Every dime that I earn from this Kickstarter is going into the album and is going right back into the hands of the contributors. And that's the really great thing about Kickstarter. It's all about "Give me this and you're getting it right back." You're doing this wonderful thing and you're making a huge difference, in not only my life, but [for] everybody who's excited about this album. You're helping this to come out. The way that we priced it, we wanted everybody to be able to afford to contribute. Even if you can only contribute $2 to get the digital download, that's more than generous. I appreciate it. I really do. We have some bigger priced packages. The only one that has not been grabbed yet is the most expensive one and it's the most expensive one by far. It's the $5,000 package and it's for a private house party concert where I fly to wherever you live in the United States and show up and I play a house party for you and we hang out all night long! I hope that somebody is going to contribute to that [package]. And I hope that also people know, that it doesn't just have to be one person. They can get a bunch of friends together and pool their funds together and have just a really fun house party! HHRR: So, the Kickstarter is designed to fund your album but that's really just a means to an end. What do you hope happens when the album is funded, recorded, and out there? KR: I hope that people love it! I hope that [the] people that contributed to the Kickstarter listen to the album, I hope they love it, and I hope they share it. And I hope they share it as much as they possibly can. Because there's literally nothing stronger than word of mouth, especially when it comes to music. Especially when we're living in an era of music where the market is incredibly oversaturated. Most of the music that I listen to has been recommended to me. Your friend standing there saying "You need to listen to this" or playing the album for you is so much stronger than you going online and seeing an ad for a band. What I want, ultimately, for the rest of my life [is] to be able to play music for the rest of my life, make enough to pay rent, be on the road, and play shows to full houses. That's it. That's all I want. I just want to continue to make music. I've been making a small [laughs] living as a musician for 10 years. I don't have a lot of money. I'm very frugal. But I'm happy because I'm writing, because I'm performing. That's what makes me the happiest. So, that's all I need. HHRR: Being a charity-oriented publication, we noticed you did a performance at a charitable event last week. Any notable story behind that? KR: Models For Charity was hosting it. It's an organization that puts together events for charities. They're not a charity themselves, but they host events for charities. And this particular time it was for the Leukemia and Lymphoma Society of North Carolina. I was honored that they asked me to come and perform. I went and performed [original song] "Reckless Boys" and Katy Perry's "Roar," which I wanted to sing on The Voice but I didn't get to because Olivia [Henken] did. It was really fun! I enjoyed being there. It's always an honor when people invite you to do things like that. Any way that I can help, I'm happy to. HHRR: What else do you want our audience to know about Kat Robichaud and what you have coming up? KR: First and foremost, if I reach the [$20,000] goal, the Kickstarter is not over. We keep going until the time runs out. So, there's no limit to how much money we can raise. I'm really hoping to raise as much as we can! I'm not pocketing any of it. It's going to go right back out to the fans. I'll invest it into making an even better album. I'll put guest musicians on there. It would be amazing to get Amanda Palmer on the album...bigger production, over-the-top, Queenesque layering. that album in the future and you sharing it will help make it happen. Editors Note: Kat's Kickstarter campaign surpassed its goal in just its third day of the 30 day campaign. 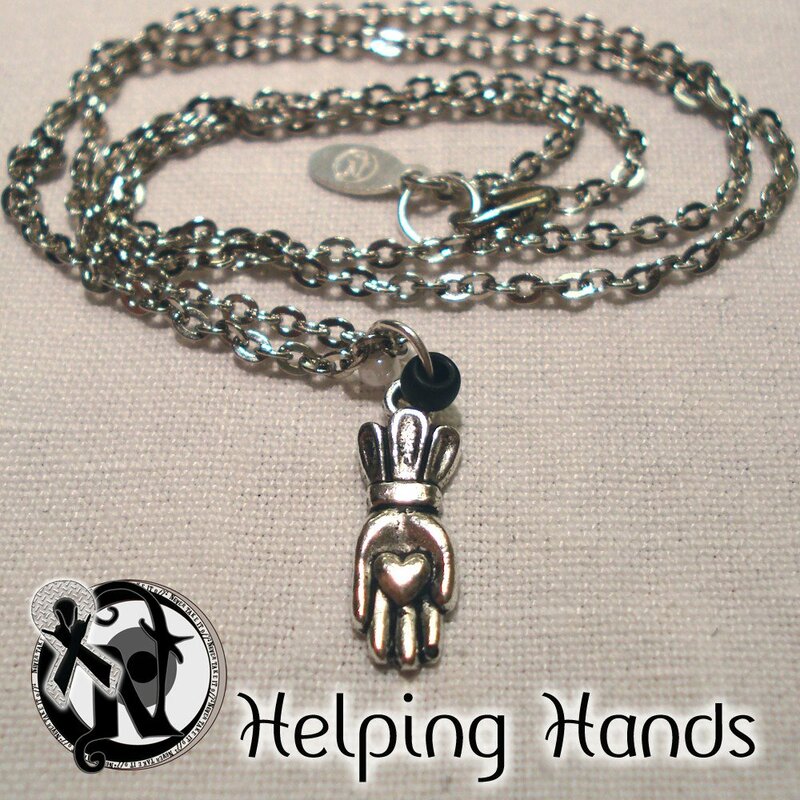 We at Helping Hands Rock Reviews are proud contributors to Kat's Kickstarter campaign. If you want to be among the first to get to experience what we expect to be an amazing album from her, you can check out her Kickstarter campaign at https://www.kickstarter.com/projects/katrobichaud/kat-robichauds-debut-album. Listen to the entire interview in this YouTube video! # of Facebook page "Likes" for Kat Robichaud at the time of this writing: 9,379.